Another week on the set of Dexter is over. 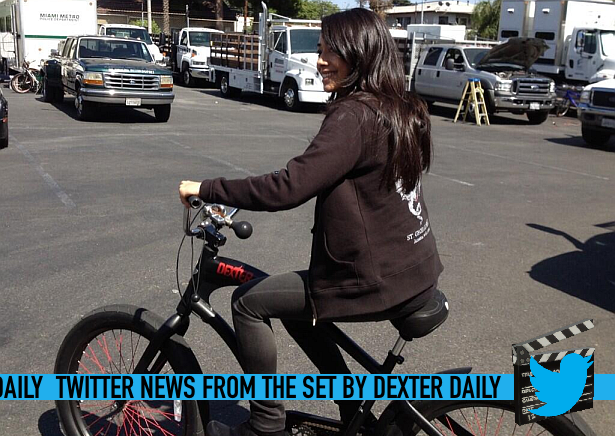 Episode 8.10 began production on Wednesday and we have for you all the scoop from the cast and crew of Dexter. See what Jennifer Carpenter, Scott Reynolds and Aimee Garcia tweeted from the set of the final season, after the jump! See what Jennifer Carpenter tweeted about Jadon Wells, aka the new Harrison. Oh boy! Ok #DEXTER peeps.....1st day of filming episode 810.......countdown until THE END is hurling towards us. @aimee_garcia That's cool! Do it! ...and yes, she did it. Bravo Aimee!